This is my attempt to start a new feature on this blog, showcasing my appreciation for sequential art (i.e. comic book geekery). With Series Condition I want to give my overall impression of an entire comic series, from its first issue to last (or most current) issue. I figured why not start ambitiously with a title that has been running for 117 issues? That title would be Invincible. You know, that other long-running comic series that Robert Kirkman writes…the one that doesn’t feature ambulatory corpses. Kirkman started Invincible in January 2003, ten months before he launched The Walking Dead. 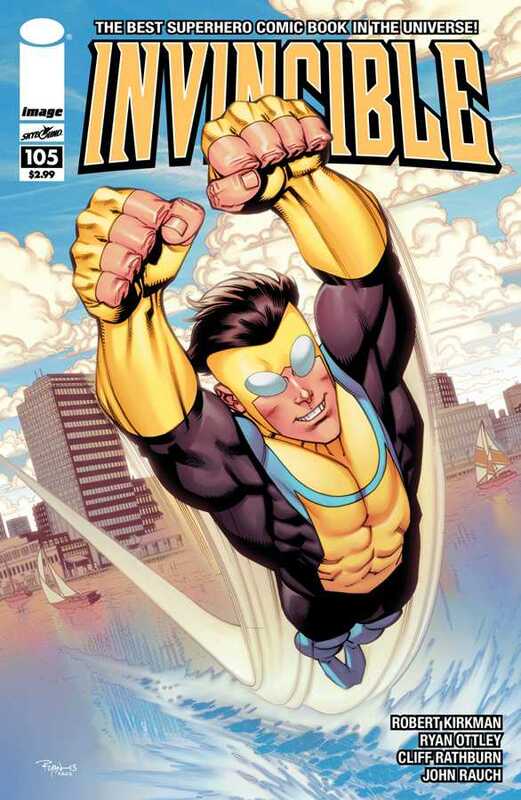 Invincible’s alter ego is Mark Grayson. (And yes, his super-hero code-name is Invincible. I know. I know.) Mark is essentially an Peter Parker archetype. He’s a regular high-school student, except…wait for it…his father is basically Superman. Actually he calls himself Omni-man, which is pretty lame, but still better than Invincible. Omni-man is a super-powered alien, and since half of Mark’s DNA is alien, he begins to develop his own, lesser super-powers when he hits puberty. 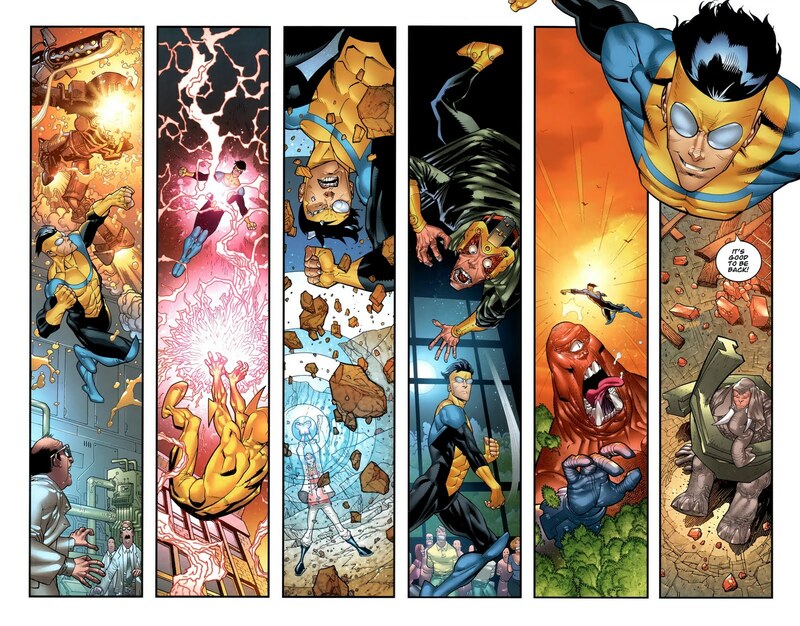 What do you get with 117 issues of Invincible? You get lots of modern teen issues. 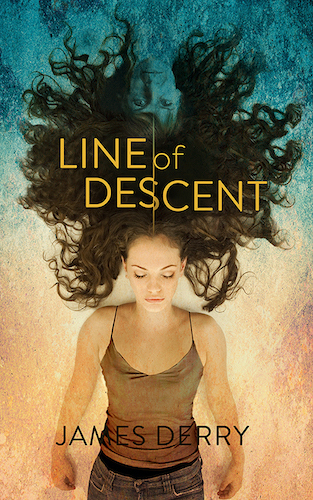 Girlfriends, growing pains, parental issues, sexuality. The book even deals with abortion. If you’re a fan of The Walking Dead, then you know that Robert Kirkman is a genius at creating fully-realized characters never fail to react realistically—yet unexpectedly—to the insane problems with which they are confronted. And like Walking Dead. Invincible can get very dark at times. Secondary characters are routinely killed off or maimed. Friendships and alliances are broken. Most of the characters (even the heroes) do shameful things, sometimes even when their motives are good. But Kirkman does a good job of balancing the dark stuff with jaunty (or just plain goofy) comic fun. Invincible is a pretty weird code-name, right? Well how about the awesomely dorky names like Dupli-Kate, Atom Eve, KaBoomerang? How is it that Kirkman can create a character named Rex Splode, then build him up until the reader feels emotionally invested in his story? Finally, I want to give kudos to Ryan Ottley, who has pencilled Invincible for ten years. Ten years! That’s insane! Ottley has a sort of classically ‘clean’ style, and yet he is capable evoking subtle (and convincing) character acting with just a few lines. Ottley has amped up his style with more detail and dynamism as the years have gone by. And when the story erupts up into Dragonball-Z-style mega-battles Ottley truly shines.